Valentine's Day for some is not an occasion to celebrate as they find it boring and may only cause their pocket thinner. They would just prefer watching basketball game replays at home rather than go for a chick flick at a movie house. They would play video games than spending a day with their girlfriends on a park. For some women, they would rather go shopping with friends and make most out of the day. Well, only some people are those kind. Many are still prefer going on a date and exchanging gifts and messages. If your not the romantic type of person then this read is for you. 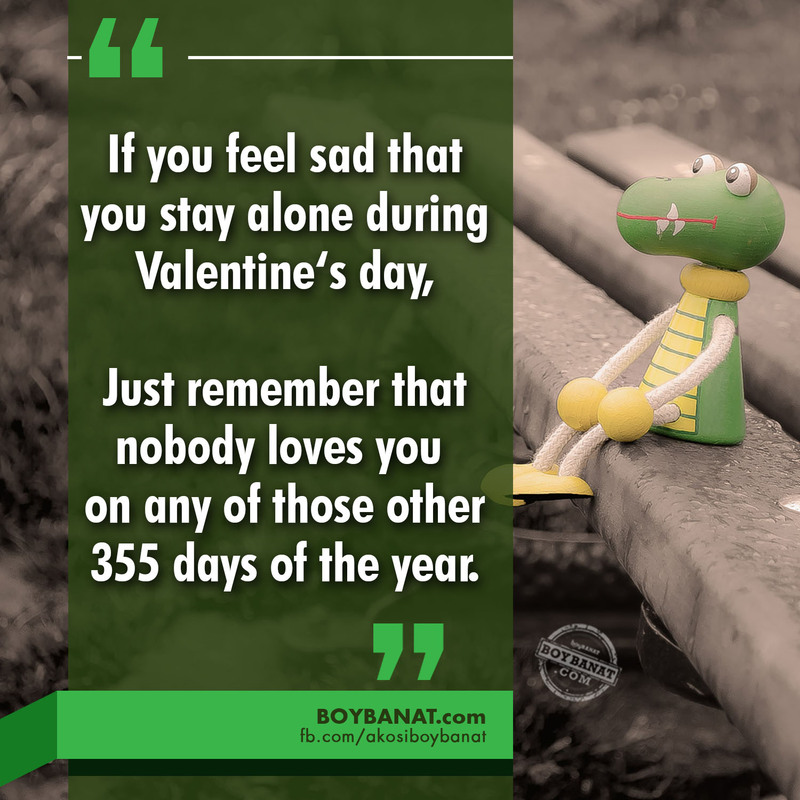 We have collected some Funny Love Quotes for Valentine's Day 2016 to brighten up your day. so I tied him up and went to the nightclub." Damn, I'm good at telling lies!" "Today is February 14th – St. Valentine’s day. Women call it Love day, while men name it as extortion day." If only you could hide your face." 355 days of the year." But don't take that paper bag off of your face." Did you enjoy this feature? Wait, there's more! 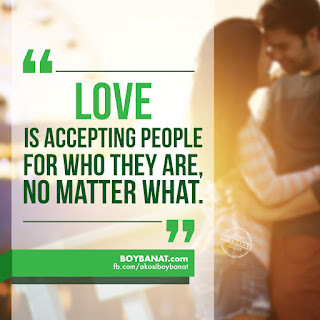 Keep posted when you log on to www.boybanat.com or browse through Boy Banat Official Facebook Page (www.fb.com/akosiboybanat) for the newest reads. 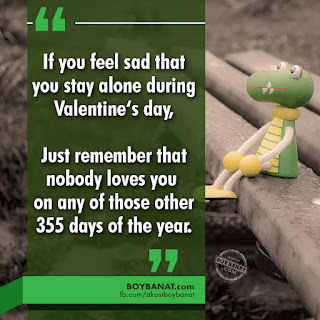 If you also have some quotes to share such valentines day tagalog love quotes, feel free to Contact Us and will be happy to have it featured here. Happy Valentine's Day peeps!